1. Corners, these are one of the main differences between a free standing kitchen and a fitted kitchen. In a bigger kitchen it is possible to stop the units about 1100mm from the corner and then start the units again on the next wall. For a smaller kitchen where storage might be needed we have now produced a bespoke cupboard number 119 which can be used for either a left hand or right hand corner. This can either be fitted with a shelf or a magic corner fitment. Furthermore, it may be worth asking about a bespoke L-shaped unit. When using these corner options we suggest choosing either wood worktops or bespoke granite. 2. If you have gaps between the items of furniture make sure they are big enough to get a broom down. Or make them a bigger space for a bin or and a stack of pans - Make a feature of it. 3. 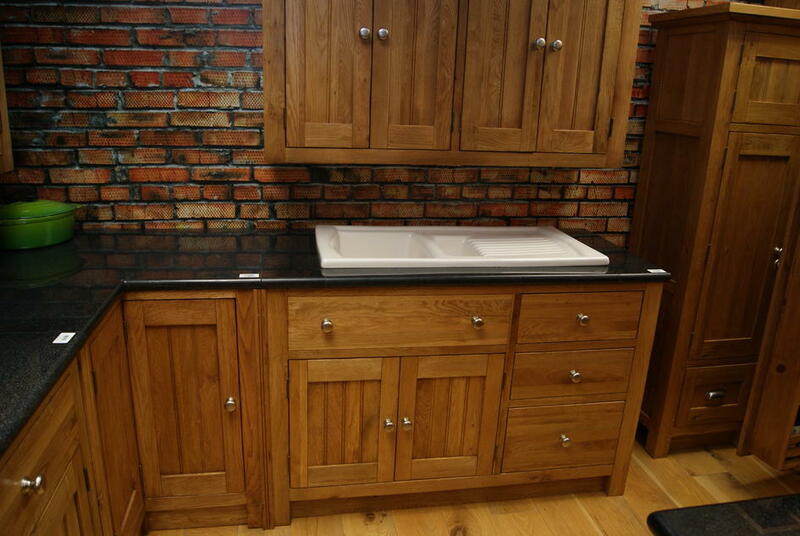 You can buy units without worktops, push them together and then put on a worktop in timber or granite. These will avoid gaps between units. 4. Don´t do the plumbing before fitting as some unit’s don´t have a service area but, you must check this. 5. Put all doors and windows onto your plan and try to draw the whole room as this helps get the kitchen into perspective. 6. You need less room to open a drawer than a door. 7. A single appliance housing is code number 109 and it will take both freestanding or fitted appliances as will all the cabinets that take appliances. 8. Appliances can be fitted into either side of 104 and 105 (the drawers are false drawers on this item). If you want only one appliance the other side can be fitted with shelves and a back. 9. We have two islands, numbers 401 and 402. However, there are many ways to make an island using our cupboards. Use two similar sized cabinets back to back to make a different size option. Alternatively, it is possible for us to back a single cupboard keeping the granite top and make a wooden breakfast bar for the back. It is also possible to extend a wooden worktop to make a breakfast bar on any one of the cabinets. In this way you can make a number of different sized islands with sinks, hobs etc. 10. The soft-close option: This is a good extra to add to your order especially for cutlery drawers. Drawers when fully loaded tend to run smoother with the quality runners we use for this option.